I've actually been VERY busy and productive lately. I sprouted another branch off my creativity tree and began a new side project into colorful abstract art (different from my doodlepaintings). 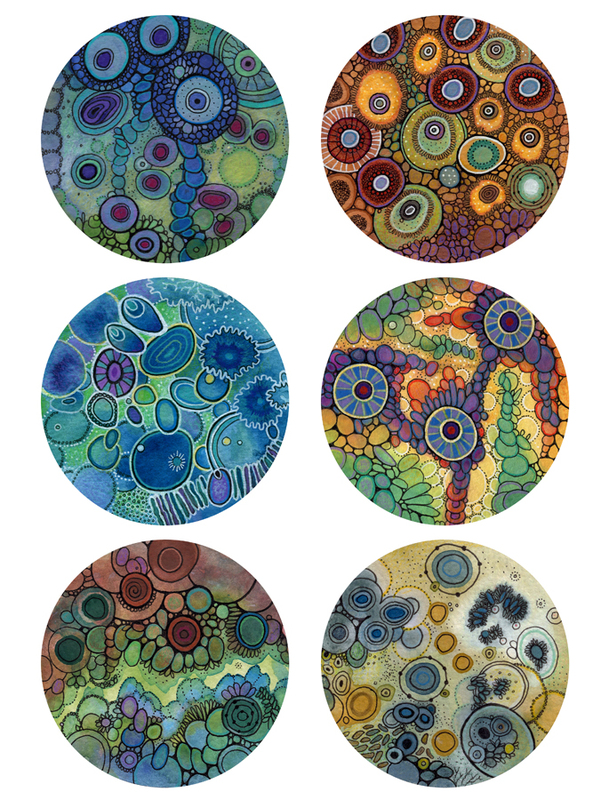 I started working with alcohol ink and art resin following the amazing petri process conceived by artist Josie Lewis. As soon as I saw hers I had to try it for myself. So far I've made 9, three of which are cast in actual plastic petri dishes. From those resin petri I've been able to make high resolution scans and turn them into prints, so I also opened up a new Etsy shop to house my products. 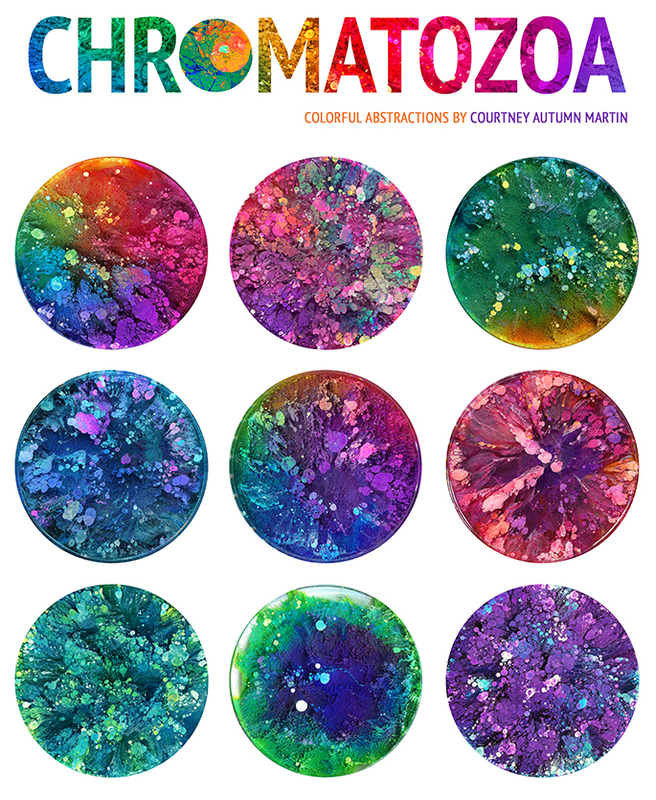 I've named this side endeavor CHROMATOZOA, my name for the imaginary colorful pseudo "organisms" (cellular, brainy looking structures) that emerge from this resin/ink process. 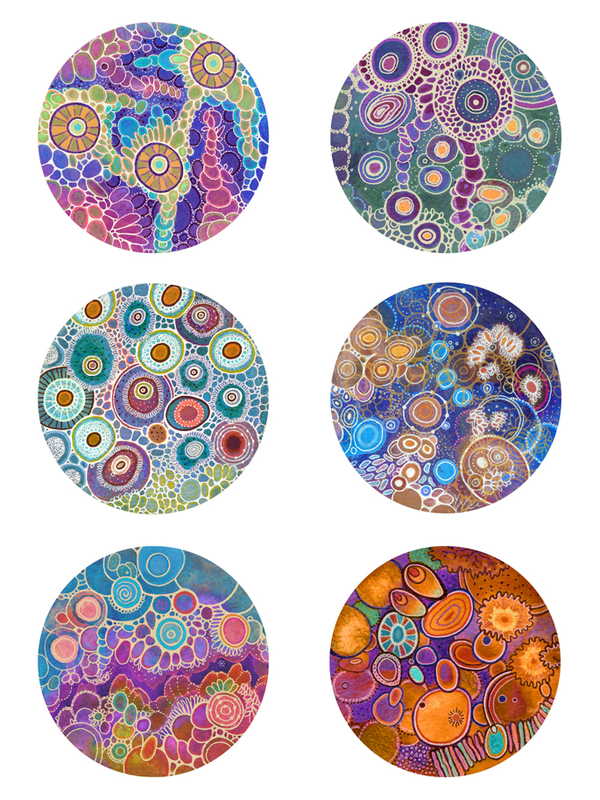 I've also been very busy making new doodlepaintings and have created 3 new large circle paintings and 6 mini petri paintings in the past couple weeks. I've also started playing with digitally inverting and adjusting the colors of my doodles to create wildly different experiences. Working in the circular format has been endlessly inspiring to me. I don't know why but I guess it's clear I just LOVE CIRCLES.